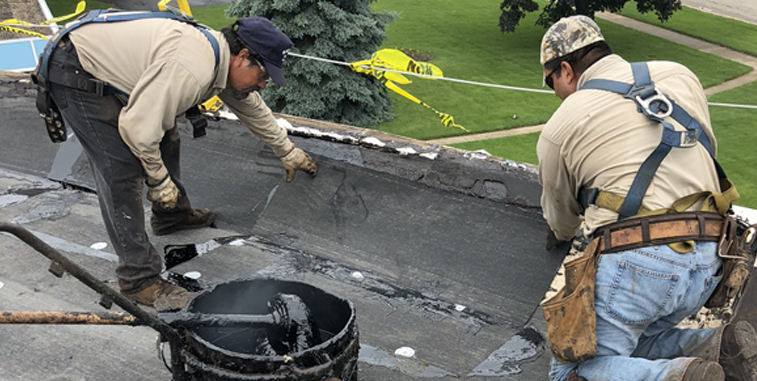 Raincoat Roofing specializes in all forms of roofing materials including shingle, tile, slate, metal, copper, rubber, modified bitumen, PVC and TPO. 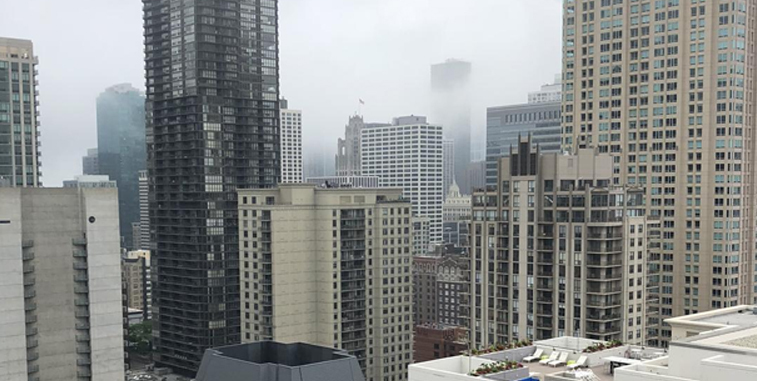 Raincoat Roofing has proven their ability to approach each new roofing project as a chance to showcase our talents as the best commercial roofer in Chicago. Each flat roof system is unique, with its own opportunities and areas of concern. Whether the specs of the job call for a specific manufacturer and material or Raincoat is tasked with providing their expert opinion, there is no job that is out of our roofing expertise. 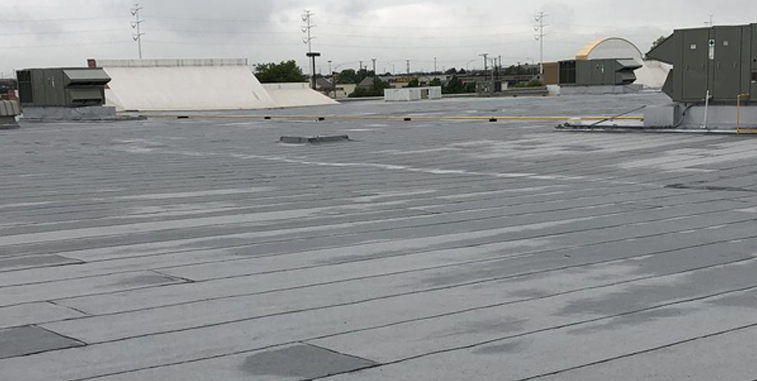 Raincoat Roofing has a proven track record with several manufacturers to be the best applicators of modified bitumen systems, single ply systems, and unique joint systems. We not only give you your best options, Raincoat Roofing also provides a sound inspection report detailing why the system proposed for you flat roof is the last system you will need to invest in for the next 20-30 years. No roofing system can be duplicated between two buildings, nor can any system perform at the same level of excellence as others. Raincoat Roofing realizes that and appreciates that every situation is different, every potential job creates different problems, and the type of building plays a critical role in creating your best roofing system. High rise roofing and Raincoat work hand in hand, creating systems that offer lasting results while being applied in a safe and timely manner. Raincoat Roofing has a proven track record of performing with multiple steep slope applications; including clay tiles, slate shingles, asphalt shingles, and unique combinations of materials. Although the roof itself may seem to be at a difficult angle, Raincoat Roofing is proud to approach the job with a safe and sound plan to create a lasting solution. We have worked with multiple materials, all over the Chicago land area, creating lasting beauty for a wide array of building and property types. Not every roof needs an entirely new system. Not every roof needs to be treated as if it must have a complete makeover. Some roofs are perfect candidates for a coating. 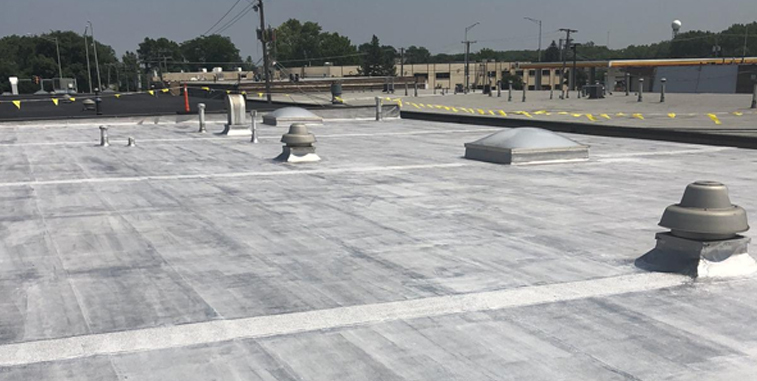 Roof coatings have gained a lot of exposure in years past for their ability to improve the overall look, quality, and ability to maintain a property’s ability to achieve strong results. Raincoat Roofing has shown positive results on several different building types to provide a lasting solution to your roof’s problems. From a silicone-based coating to a fibrated aluminum, not every coating is designed for your roof; but Raincoat Roofing can and will use the best coating for your property to offer lasting protection. Coatings cannot solve every issue, but they will allot your business plenty of time to budget for the bigger cost. Whether you are purchasing a building from previous tenants or attempting to revamp and reestablish a building for new purposes; nearly every roofing system has gone through the aging process. The next major investment for your building may not be as costly as expected, with re-roofing or recovering your roof with Raincoat Roofing. Raincoat Roofing provides thorough and in-depth inspections and surveys; not just giving you an idea of what a budget may look like but to also give you the precise diagnosis that your roof and investment deserves. If Raincoat Roofing feels that your property is a candidate for a re-roof or recover, we will advise you to do so; which will not only help with the costs but also give you reassurance that the best options are presented to you and your business.